In his so-called “pipebomb” promo C.M. Punk infamously called Vince McMahon “a millionaire who should be a billionaire.” If WWE’s majority owner hadn’t joined the three comma club since Punk uttered those words seven (?!?) years ago, he probably will soon, as various reports indicate that WWE is about to see a massive increase in the value of its TV rights deals. Last week the Hollywood Reporter reported that NBC Universal was negotiating a deal for WWE’s flagship show Raw that ” is expected to close at as much as three times its current value.” The deal would keep Raw on Monday night on the USA Network in the same general time slot that it has occupied for most of its existence. It also wouldn’t just bring WWE considerably more money for Raw. It importantly wouldn’t include Smackdown, which currently airs on USA on Tuesday nights, meaning WWE would be free to sell its second prime time show to another network. If both reports are true, WWE will be locked into a huge amount of guaranteed money every year. 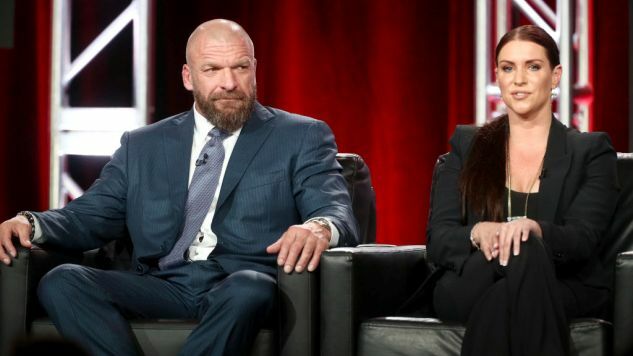 Assuming the ratings aren’t catastrophic enough for either network to cancel the shows during the life of either contract, WWE will basically be financially set into the mid-2020s. Secondary revenue streams like house shows, home video, and even the WWE Network will mean less than ever before. Pay-per-views could become entirely subservient to the TV shows when it comes to major story developments and blowing off feuds. Instead of using TV to sell viewers on the WWE Network, a strategy the company has already downplayed more and more over the last few years with constant free subscription offers, WWE will become even more of a TV-based promotion, equivalent more to the NFL or MLB in its business plan than what it’s traditionally been. What will WWE do with all that new money? The right thing to do, of course, would be to share much of it with the employees who have made the company so valuable and popular. Of course WWE still somehow classifies its full-time contracted performers as “independent contractors,” so there’s absolutely no reason to expect any of this extra money to trickle down to the wrestlers themselves. Maybe WWE will use it to sign up even more talent to exclusive deals, despite having a roster that’s already bursting at the seams. Perhaps they’ll use it to launch the long-rumored international territories that they’ve been exploring, in an effort to deepen the brand’s overseas profile while also directly challenging rivals like New Japan and ITV’s upcoming World of Sport show. Maybe the McMahon family, as the majority shareholders, will just use the bulk of that money to fund personal projects like professional football leagues. Maybe we’ll find out in the years to come.